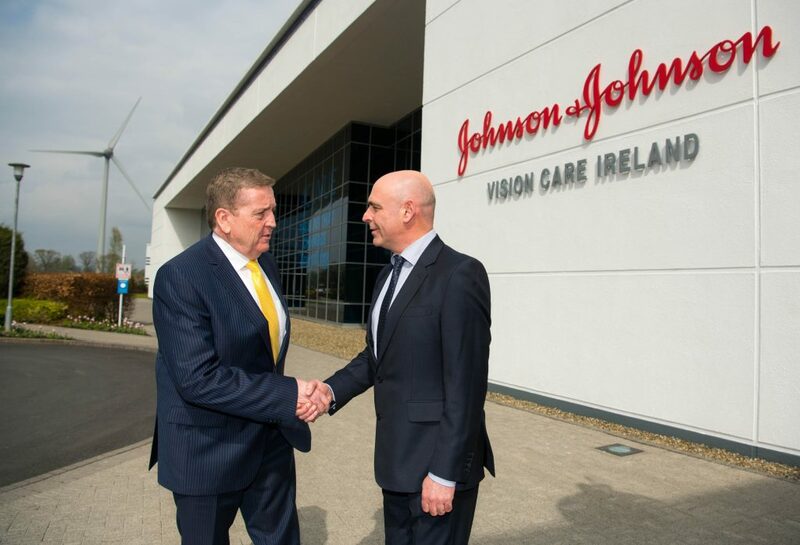 In attendance at the announcement are Minister of State for Trade, Employment and Business Pat Breen TD, left, and John Lynch, Plant Leader, Johnson & Johnson Vision Care (Ireland). Minister of State for Trade, Employment and Business Pat Breen TD recently announced that Johnson & Johnson Vision Care (Ireland) will be adding approximately 100 new roles as part of about a €100M expansion of its manufacturing operations at its site in the National Technology Park, Plassey, Limerick. 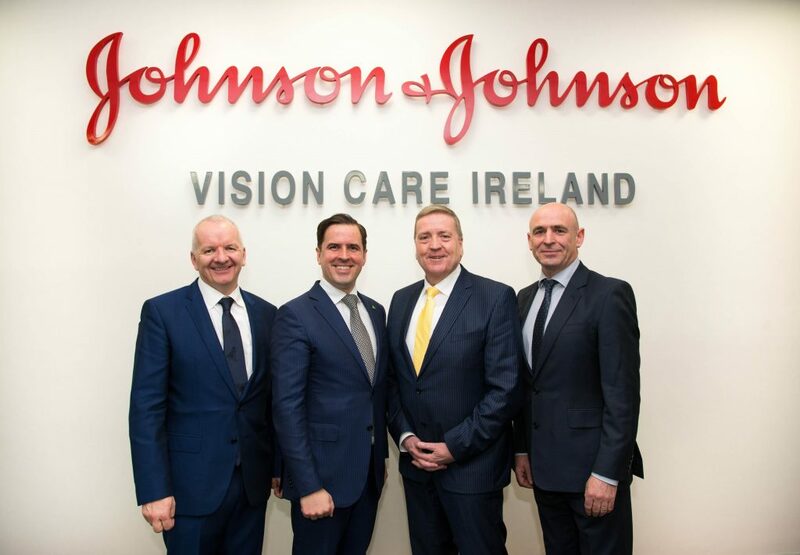 In attendance at the announcement are, from left, Barry O’Sullivan, Global Manufacturing Lead, Johnson & Johnson Vision Care, Martin Shanahan, CEO, IDA Ireland, Pat Breen TD, Minister of State for Trade, Employment and Business, and John Lynch, Plant Leader, Johnson & Johnson Vision Care (Ireland). 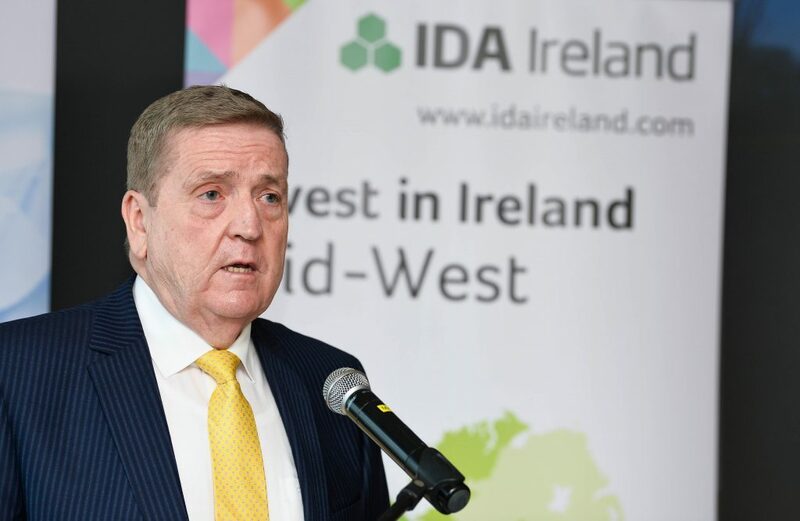 Speaking during the announcement is Pat Breen TD, Minister of State for Trade, Employment and Business. 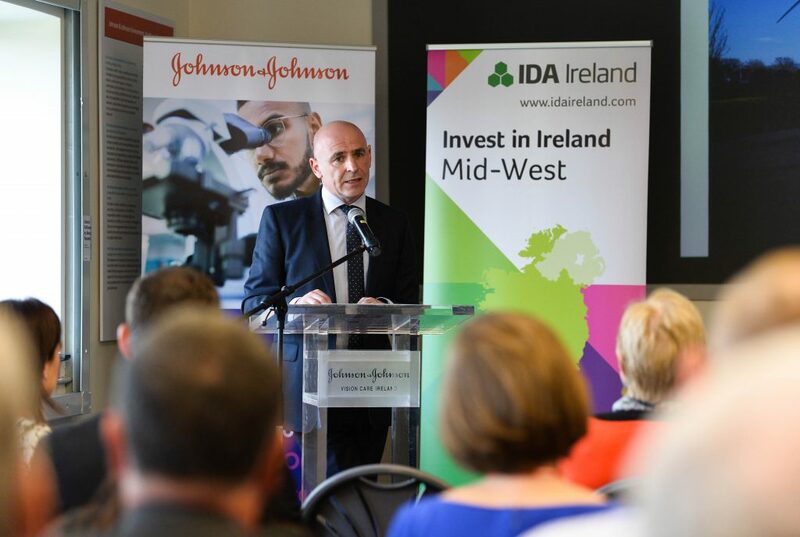 Speaking during the announcement is John Lynch, Plant Leader, Johnson & Johnson Vision Care (Ireland).